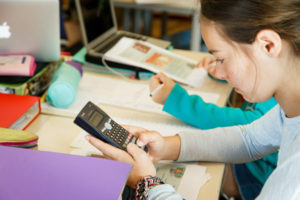 ISUtrecht believes the true purpose of assessment is to guide the planning and instruction to support and enhance student learning, rather than to simply generate a grade. Both students and teachers should be actively engaged in assessing the students’ progress, in both formative and summative formats, as to develop wider critical thinking and self-evaluation skills. The aims of assessment are to promote student centred learning, to provide information about individual student learning, tracking student progress, and to contribute to the evaluation of the effectiveness of the programme. All teachers are responsible for providing and teaching the criteria to their students.The criteria are made visible throughout all tasks. Teachers review the criteria with students, so they can achieve the score they want and understand why they received a certain score. In addition to this examples on what the students need to do to improve are provided. All subjects should assess against each objective at least twice in a school year to provide appropriate feedback on the reports. There are two terms per school year.